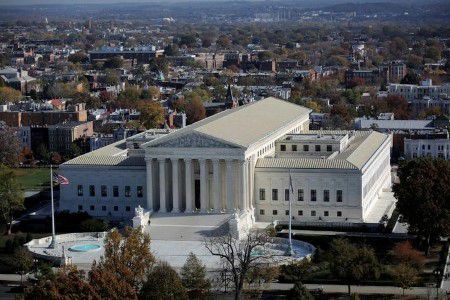 The U.S. Supreme Court avoided a ruling on transgender rights by sending a closely watched case involving bathroom access at a Virginia high school back to a lower court on Monday after President Donald Trump rolled back protections for transgender students. Lawyers for a transgender student named Gavin Grimm, who was born female and identifies as male, had asked the justices to decide the case despite of the Trump administration's Feb. 22 action. The court previously had set arguments in the case for March 28. The brief court order said that the case was sent back to the Richmond, Virginia-based 4th U.S. Circuit Court of Appeals, which last year ruled in favor of Grimm, "for further consideration in light of the guidance document" issued by the Trump administration.